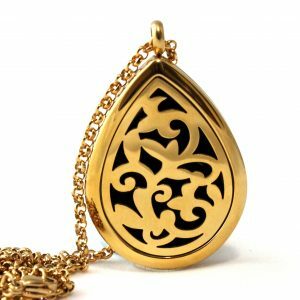 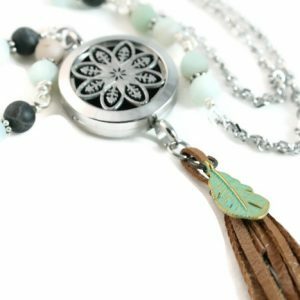 Beach Bohemian Diffuser Necklace. 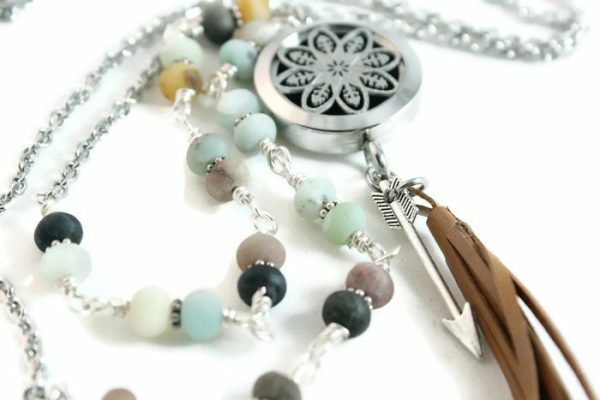 You will love this gorgeous handmade amazonite stone necklace and its soft peaceful aura. 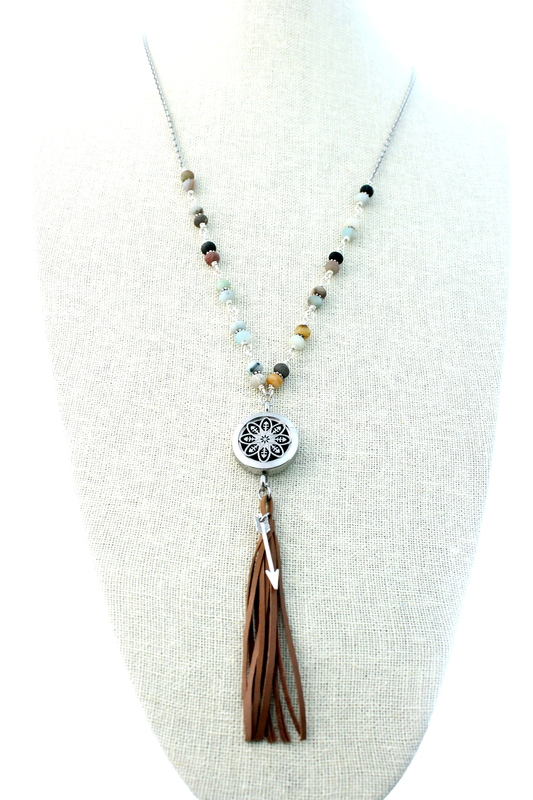 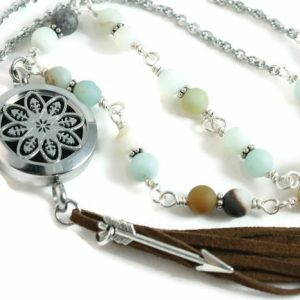 The stainless steel diffuser features a tan leather tassel with a simple arrow charm adding a boho vibe. 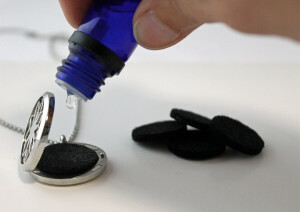 Using essential oils in therapeutic ways promotes a healthy mind and body. 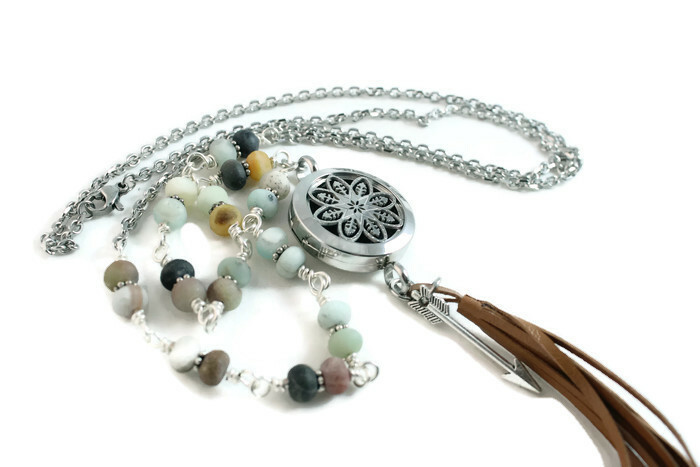 Join the movement to recapture your health and wellness. 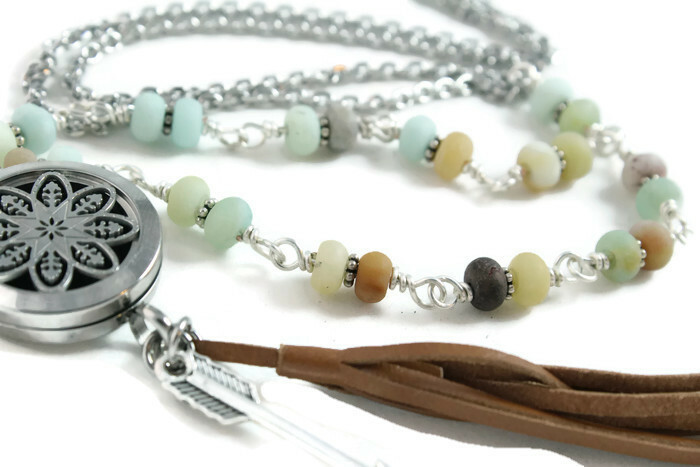 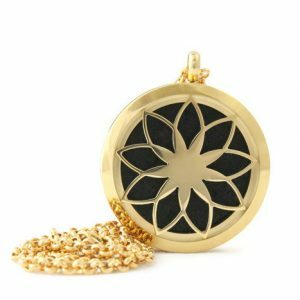 100% Handcrafted; each necklace is one of a kind and features a signature EsScent-Oil™ stainless steel diffuser.